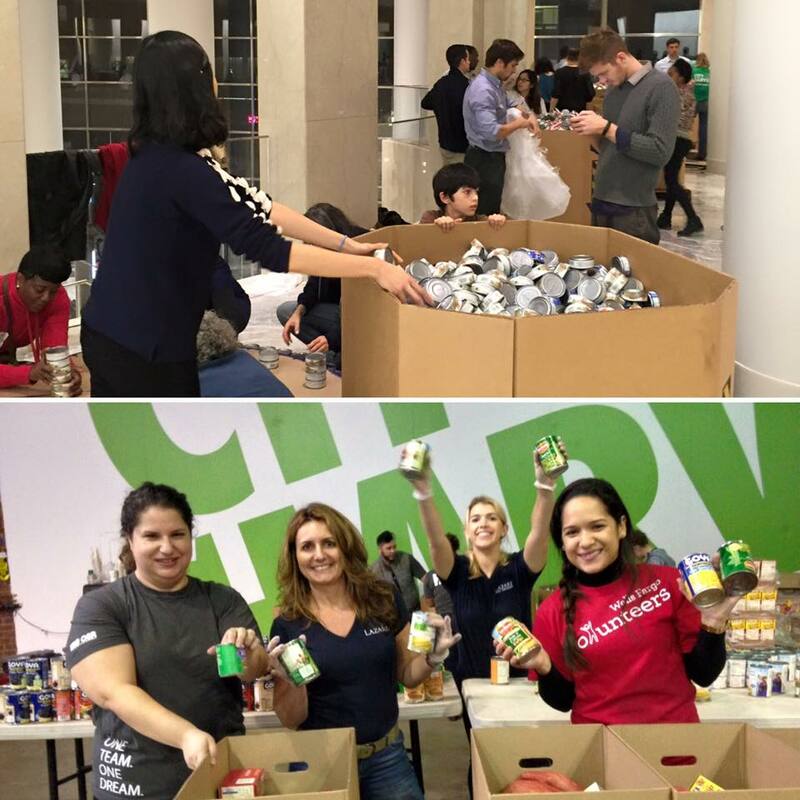 We donated close to 80,000 pounds of food to City Harvest which they packed into holiday boxes for Thanksgiving for those in need. The Cheri Award was given to Perkins Eastman / Harlem RBI for their entry Cookie CAN-ster. 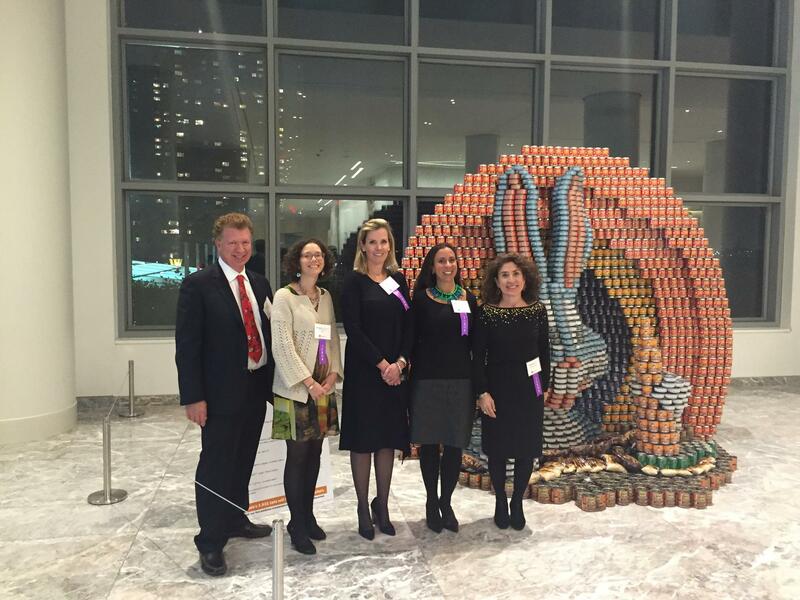 This was the sixth annual awarding of this prize named for Canstruction Founder, Cheri C. Melillo. 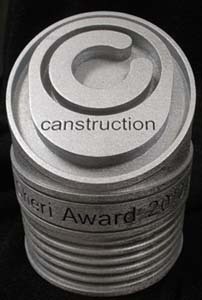 Each year the criteria for this award changes and is awarded by the organizing committee or its agents. Cheri’s son, Brion van Over, and husband, Bruce Melillo awarded this year’s prize to a team collaboration that embraces the vision that Cheri had for mentoring the younger generation and encouraging their engagement in social issues. 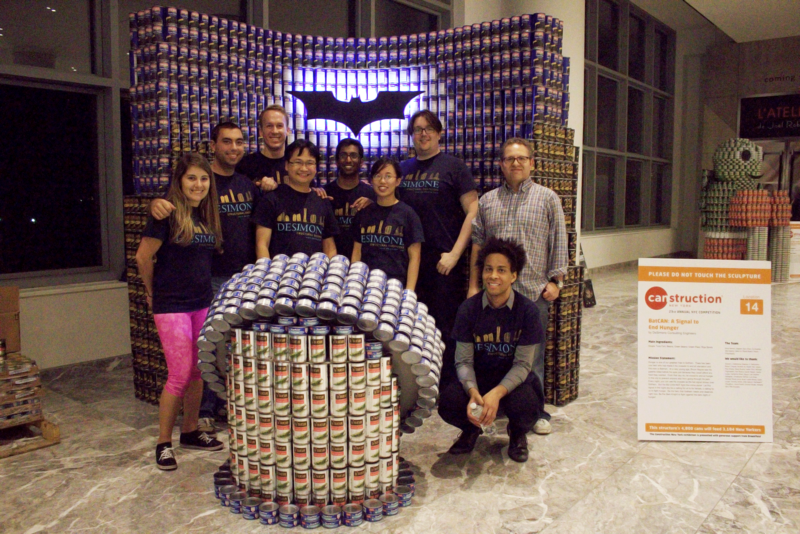 Congratulations to all of the winners and thank you to everyone who made the 23rd Annual New York City Canstruction® Design/Build Competition possible.